My thanks to Brittany for covering for me on Monday when I was out of town. And I’m pleased to announce that Chapter 4 Page 12 is up. Snow-by-Night takes a look at what the boys want her to do — climb a steep cliff in the middle of winter while it’s snowing. 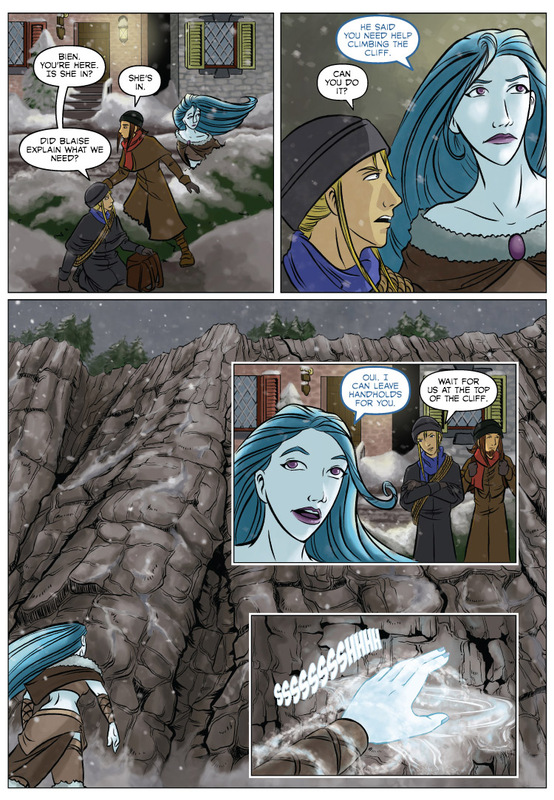 To see a glimpse of how the boys hold up on the climb, vote for Snow by Night on Top Web Comics.